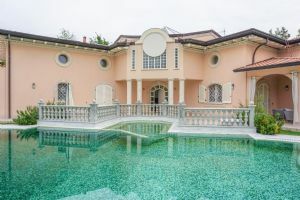 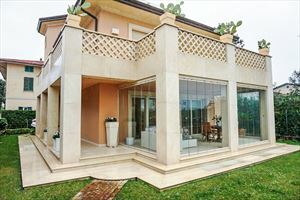 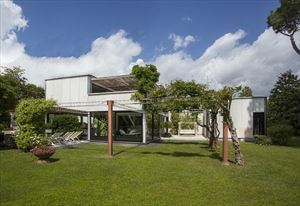 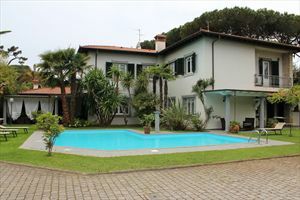 Single villa with heated swimming pool (3.50 m depth) and wide garden (2000 sqm) located in the most prestigious area of Forte dei Marmi, Roma Imperiale, in a quiet street, 800 m far from the sea. 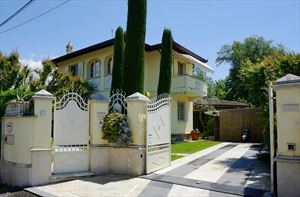 The property is in perfect conditions and it is equipped with air conditioning, alarm system, Sat TV, Internet Wi-Fi, parking, automatic gate. 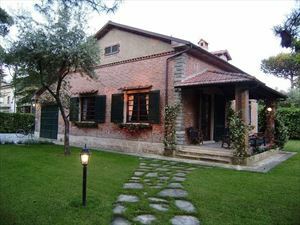 Ground floor: hall, living room with fireplace and dining room, library, kitchen facing the summer terrace, suitable for dining; two bedrooms with their private bathroom, laundry. 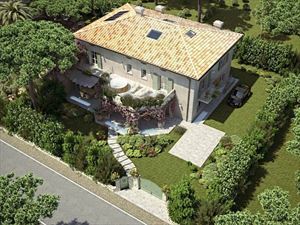 First floor: two double bedrooms, two twin bedrooms and two bathrooms. 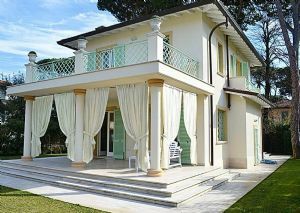 The property also has a service area with bedroom and bathroom.